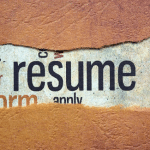 Do recruiters think you're an unstable employee because you have a few short term jobs on your resume? Are you told you are jumpy since you had to take some temporary, contract or consulting work to pay the bills while looking for the long-term, direct hire job? Is it assumed you won’t stick around in their job because you moved around recently—for reasons beyond your control? Well, I think most recruiters that make these assumptions about job seekers with short term work are totally wrong in their assumptions. And they are missing out on awesome talent. To be clear, I found job seekers at all levels contract work: i.e. Interim CFO's, Contract Federal Tax Accountants, Temporary Accounts Payable Specialists. And in the 9 years I did contract recruiting, I found the individuals that take long-term contract assignments to be some of the most loyal and humbly talented people in our workforce. When someone takes a 7 month long assignment, to keep to their word of staying the length of the assignment, they are essentially halting all interviews for direct hire work. They have to—or they may land a job and have to leave the assignment. And those are logical thoughts for people who think for themselves and don’t care about the word they gave or the assignment they are working on. But contractors/temporary employees give their word at the sacrifice of their career path. I saw it happen time and time again. The “Temp Job Rut” is when someone takes a temp assignment, ceases all interviews while on the length of the assignment, and then the assignment ends. And because ongoing interviewing hasn’t been happening, there isn’t a direct hire job to walk into - but the bills are coming in, so the person simply takes the next temporary assignment to stay employed. It’s an easy rut to fall into—but hiring managers and recruiters that are not experienced with temporary hiring don’t know this. And they lose out on loyal, versatile employees. Contract employees have to start an assignment often with little to no training. They are not getting 2-3 days of orientation to ease into the company culture, like direct hire employees do. No welcome committee or new hire cake in the break room celebrating the new person joining the company. Nope, temporary employees often get told where their desk is (not even escorted to the desk), given a number to call tech people to get login credentials, and have to start working with somewhat ill-defined job specs with the expectation they will produce results in a short period of time. And they often have to do it themselves. They can’t regularly lean on fellow co-workers, since regular employees don’t want to help the “temp” or feel their job may be threatened by the consultant—so they don’t help the consultant. So they are on their own... And despite all of these obstacles, they get the job done. And here is the humble part: They don’t brag about getting the assignment done with no training, little instruction and poor co-worker support. They view it as just doing their job. This is why temporary, consulting and contract employees are often where the hidden talent lies. And I know how to help you market the short term positions to be viewed as an asset. Our "Get Hired Fast!" Package contains every last important morsel of what you need to make attention-grabbing edits to your resume and LinkedIn profile to highlight your short-term assignments rather than hide them to land the coveted interview and get the offer you want. Stop struggling and promote yourself confidently. Have a job search plan that is reflective of what you have achieved, regardless if it was done as a contractor/temporary employee or direct hire. Get our newly updated "Get Hired Fast!" package now for $297 and gain a "get hired" frame of mind with our courage-building tools and the support of the Chameleon Resume team. Be Well!